Several months before 20th Century Fox's Fantastic Four hit theaters, the studio announced plans for The Fantastic Four 2, setting a 2017 release date for the sequel. Unfortunately for the studio, Fantastic Four was a colossal bomb, taking in just $11.3 million in its opening weekend last August, en route to a disappointing $56.1 million domestic gross. The movie fared a bit better internationally, with a worldwide total of $167.9 million, but it still wasn't the big hit that the studio envisioned. Shortly after the release, rumors swirled that the sequel was canceled, and in November, the studio pulled the movie from its 2017 release schedule. As it turns out, though, the sequel may still happen. There were other reports last year that the studio was pulling Fantastic Four 2 in favor of Deadpool 2, which is now certainly happening, after Deadpool took in $762.1 million worldwide. The last we heard about Fantastic Four 2 was in January, when star Michael B. Jordan revealed that he still wants to come back and play Johnny Storm, a.k.a. The Human Torch. During an interview with Den Of Geek, producer Simon Kinberg admitted that the Fantastic Four reboot wasn't as good as it should have been, but that he still wants to bring the cast back together for a sequel. "We didn't make a good movie, and the world voted, and I think they probably voted correctly. And you can't make a good movie every time out - not everybody does. We actually have a pretty good batting average, all things considered. But I think we made many mistakes when we made that movie - mistakes that we learned from and we wouldn't repeat. We want to make another Fantastic Four movie. We love that cast. We'll try to be truer to the essence of the tone of Fantastic Four, which is completely - well, not completely, but largely - distinct from the X-Men, which is brighter, funner, more optimistic tone. I think we tried to make a darker Fantastic Four movie, which seemed like a radical idea but we were kind of messing with the DNA of the actual comic instead of trusting the DNA of the comic." Fantastic Four starred Miles Teller as Reed Richards/Mr. 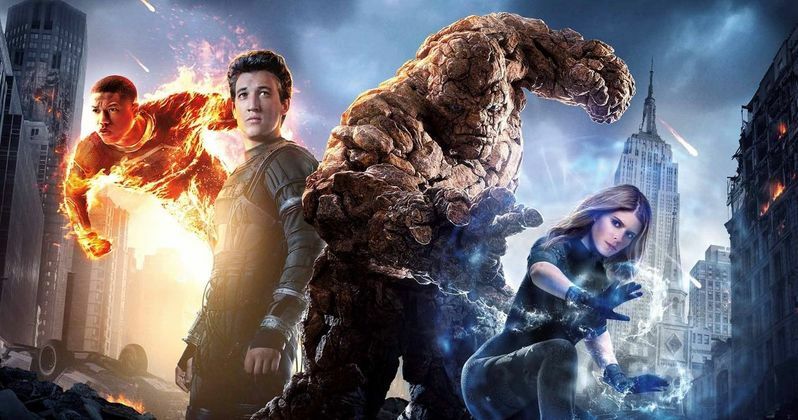 Fantastic, Michael B. Jordan as Johnny Storm/The Human Torch, Kate Mara as Sue Storm/The Invisible Woman and Jamie Bell as Ben Grimm/The Thing. Toby Kebbell also starred as Victor Von Doom, along with Reg E. Cathey as Dr. Franklin Storm and Tim Blake Nelson as Dr. Allen. It isn't known if the rest of these cast members, aside from Michael B. Jordan, are interested in reprising their roles for the sequel, or if a script is being put into development. The Fantastic Four script was written by Simon Kinberg, Jeremy Slater and director Josh Trank. If the sequel does move forward, it seems unlikely that director Josh Trank will be involved. Rumors had spread about Josh Trank's unprofessional behavior on and off the set, including how he almost came to blows with star Michael B. Jordan. It is unclear at this time if Fantastic Four 2 will get a new release date. There was much talk about a Fantastic Four and X-Men crossover movie before the release of the reboot. There's no telling if that will ever see the light of day.